Gorgeous condo in Esplanade at Damonte Ranch. This property offers 3 bedrooms upstairs including a very large master bedroom and 2 well sized additional bedrooms. The master bathroom features dual sinks, a large soaking tub, separate shower, and dual closets. Beautiful kitchen with granite counters, under cabinet lighting, tile floors, & stainless appliances. Cozy gas log fireplace in the LR will be great this winter! Refrigerator, washer & dryer are included. 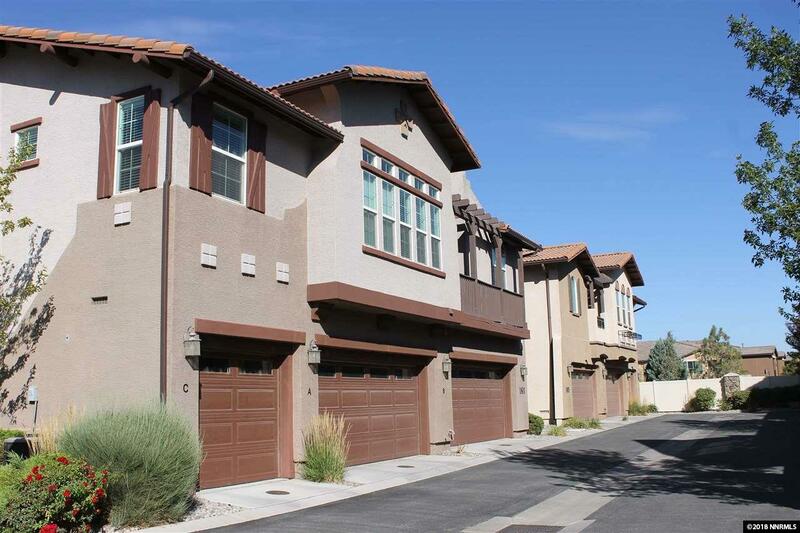 Easy carefree living in Damonte Ranch!